Guests looking for relaxation will find it on entering our small, but fine apartment: the first view from the window offers a view that you will not forget soon. The Zwischenahner Meer within reach, a few jetties and a first idea of ​​how to spend with this apartment as a location, holidays in many ways: swimming in the beach or in the nearby outdoor pool, hiking around the lake (about 12 km) or cycling , Walk in the village (about 10-15 min. ), A boat trip or exploring the lake with a ferry. In the apartment itself, a comfortable box spring bed and practical furniture, as well as a kitchenette invite you to linger and to self-sufficiency. The heart of the apartment is the covered loggia with comfortable lounge chairs. Of course, also includes a well-kept bathroom, with toilet, and free wifi to the equipment. The car can be parked in the immediate vicinity of the house for free, restaurants and shops are located in sufficient numbers directly on the lake or in town! Ich wollte nur noch Ruhe und Entspannung, und das habe ich dort bekommen. Es ist ein wunderschöner Ort mit vielen Möglichkeiten. Alleine der Blick aus den Panorama Fenster ist unglaublich schön. In der Ausstattung der Wohnung fehlt es an nichts. Und der Vermieter,, Herr Gerdes, ist ein sehr netter Mensch. Also, ich war mit allem sehr zufrieden und komme in jedem Fall wieder . Schönes Appartement mit allem Komfort - wirklich zum Wohlfühlen. Der Blick auf den See und die Ruhe war grandios. Gerne wieder. der Ausblick auf den See war einfach grandios auch sonst gab es an der Wohnung nichts auszusetzen. Toller Service durch die äußerst nette Frau Hobbie. Ich bedanke mich recht herzlich für diese tolle Bewertung und freue mich das Sie einen schönen Urlaub verbracht haben. Genießen vom ersten Tag an, so soll es sein. 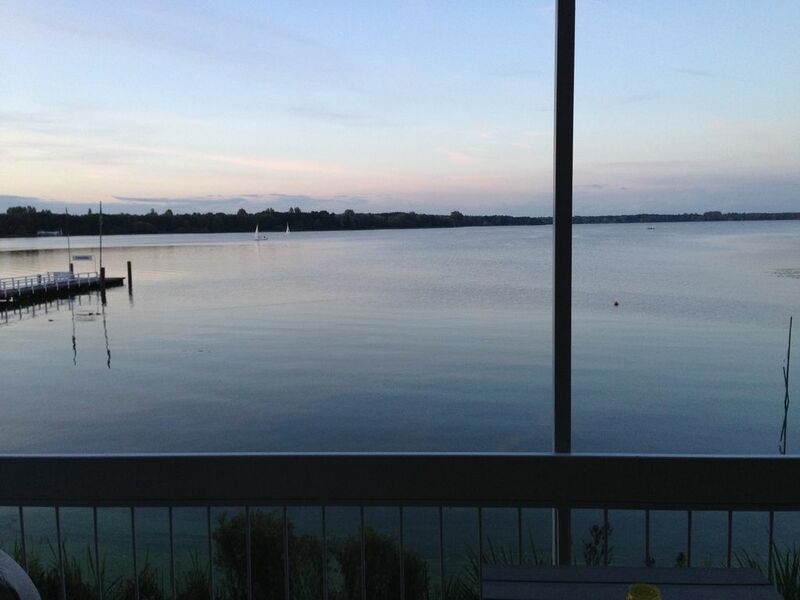 The apartment is located in a quiet location directly on the Zwischenahner sea. The center of Bad Zwischenahn is within walking distance within a few minutes. There are various supermarkets, restaurants, bars and other entertainment and shopping. The train station is about 1.5 km away. The highway is about 10 km.